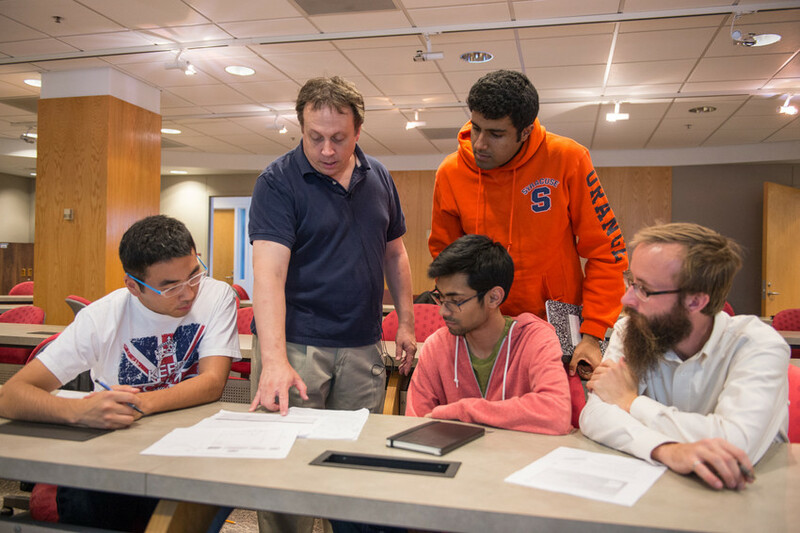 In order to encourage pedagogical reflection and to improve classroom performance, the TA Program provides services to Syracuse University teaching assistants and other graduate students working in instructional capacities. Annual Programming. The TA Program hosts workshops during the academic year focusing on problems and issues that TAs face. Graduate students, faculty, and administrators wishing to present in this series of workshops may submit a proposal or email Shawn Loner (scloner@syr.edu) in the Graduate School indicating the title, content, and proposed date of their presentation, and describing how the program will benefit TAs and other graduate students. Proposals will be assessed on the basis of their practical value and broad relevance to the TA population. Additional teaching-related programs are sponsored by the Future Professoriate Program. Classroom Observation/Consultation. TA Program staff and teaching mentors are available to visit your classroom and provide written and/or verbal feedback on your teaching. We can also record your class or section meeting. Request classroom observation/consultation. Equipment Loans. Videorecording your class or section meetings can provide insights into your strengths and weaknesses as a teacher, and is a great way to document your ability in the classroom. TAs can borrow video cameras and tripods from the Graduate School for up to 7 days. Request equipment loan to Shawn Loner (scloner@syr.edu). Mid- and End-Course Assessments. The TA Program provides formative and summative evaluations for use in classroom, lab, recitation/discussion, and studio environments, as well as guidance on constructing and administering your own assessments. TA Program staff and teaching mentors are also available on an informal and confidential basis to discuss any teaching-related issues or problems you may encounter in the TA role. Please inquire with the TA Program Coordinator, Shawn Loner (scloner@syr.edu) or 315.443.3431).